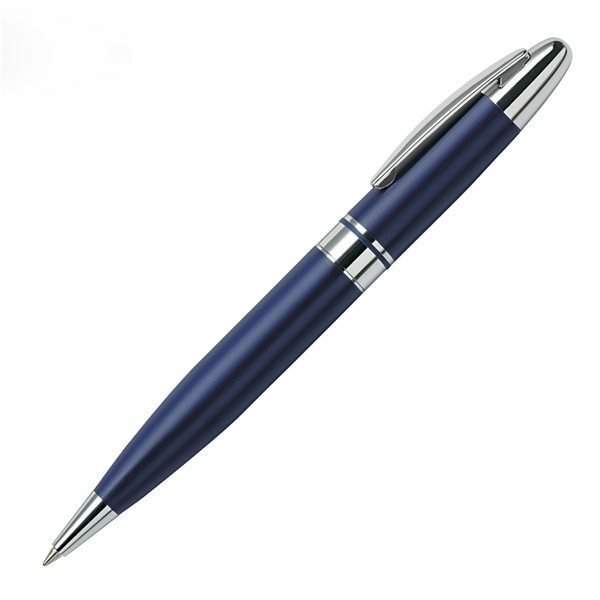 Solid brass with matte blue finish and polished chrome points. I liked this product very much and wanted to use them as thank you gifts for some of our volunteers. My consultant was SO helpful and got my order to be so fast! Thank you so much and I will recommend you any chance I get. Looks expensive. Make a great gift. I'd recommend the product to anyone looking for an inexpensive gift. Product works great! The fine point is smooth and easy to use. The products last and last and last and also the writability is great. Happy with how our order turned out. We expect this item to become a large hit at our annual conference.